All six fighters have fought on National Television and are the top fighters in their weight brackets, as far as skill and popularity in coming from every region of North America: NY, Canada, California, Phiadelphia/Tri-State area and Washington D.C area. This event is the first ever of its kind and will be a huge draw. 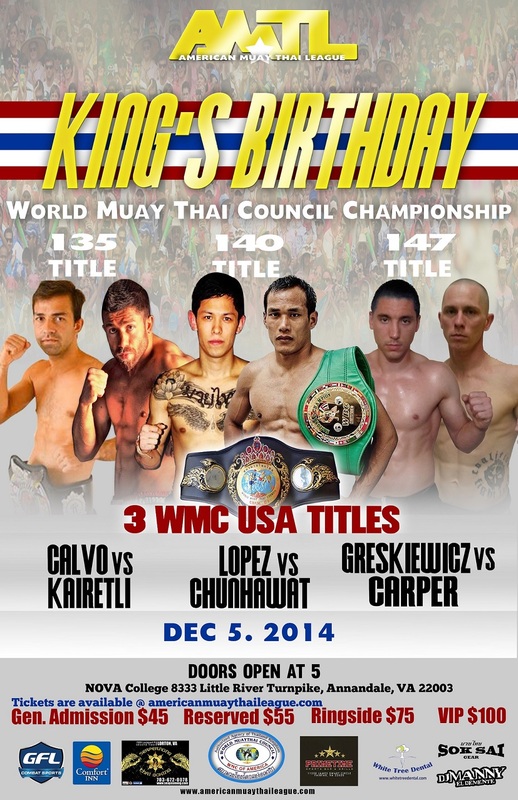 This entry was posted in Events and tagged Ahmet Kairetli, American Muay Thai League, Carlos Lopez, Coke Chunhawat, featured, Jeremy Carper, Justin Greskiewicz, Maruicio Calvo, Matt Embree, Muay Thai, WMC. Bookmark the permalink.